This is an early step toward the advanced version that looks more rounded inside. Lists are used to plot multiple lines. Can you find the list values for this 3 element list and recreate this graph? Posted in: basic, linear. Tags: basic, linear, lists, string art. 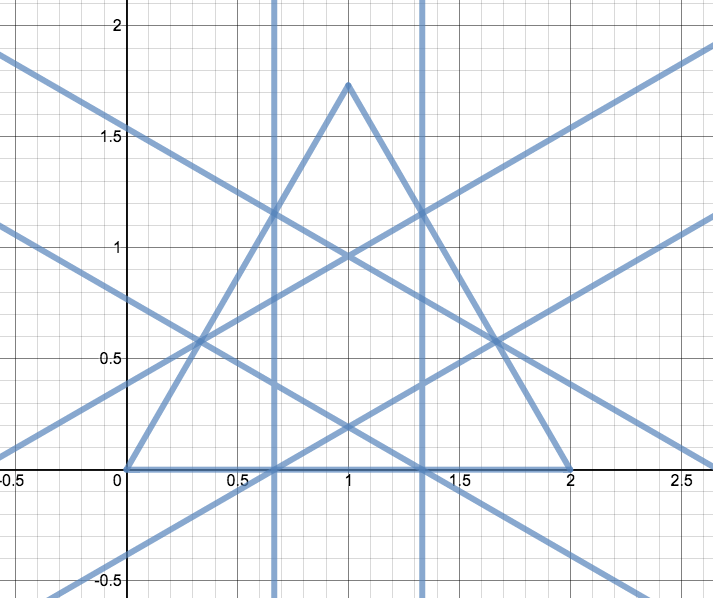 I did not know how to graph a triangle so I kinda didn’t do that part right. Every thing else seems to be correct. 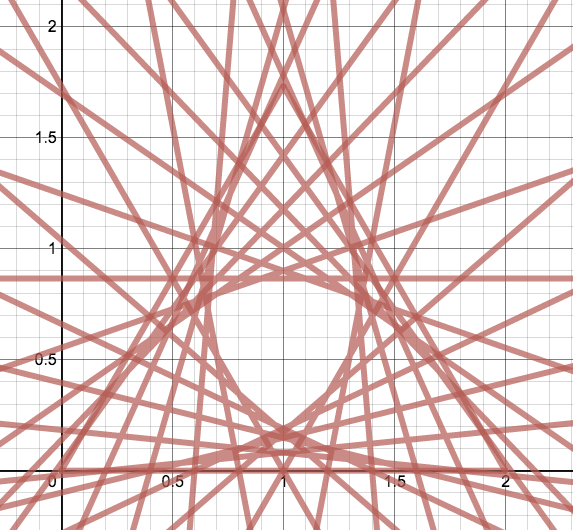 Many of these lines uses square roots (equilateral triangle). Try to be as precise as possible. To draw the triangle itself you can use curly braces for domain and/or range restrictions (http://youtu.be/EnxldgRyUJs) . I got pretty close but there is a slight difference between the two graphs that I can’t seem to fix. This is the most precise reuleaux triangle I got. Also, for those who don't know, the braces that I have put behind two equations are restrictions, also know as Domain and Range. This is more in the spirit of trying to create the equilateral triangle. Good use of sqrt() for precision. I’m not sure how to add restrictions so I just worked around that. It took a few tries to make everything line up, but it turned out pretty good.